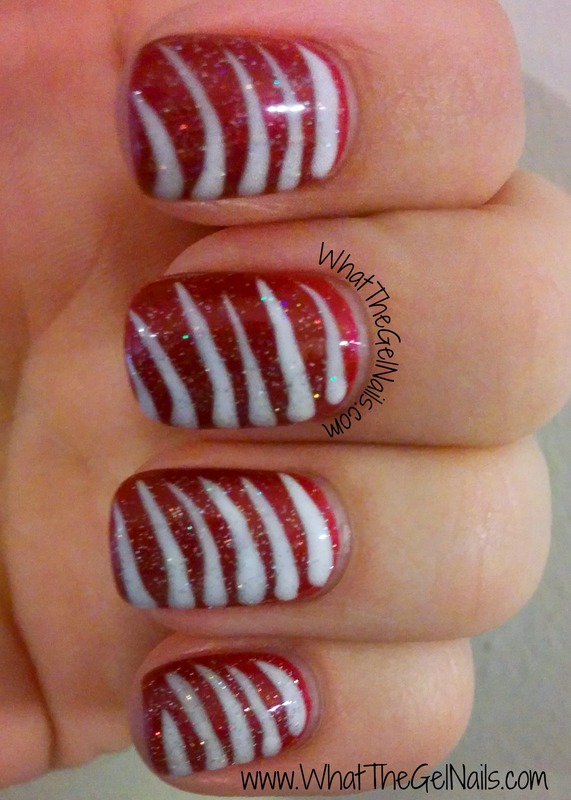 I have another Christmas gel polish manicure to show you today. Unfortunately I don’t have any good pictures of it, I just have the one picture. But, it was too good not to share so please just bear with me on the bad quality. Here it is. I was going for an abstract candy cane design. I started with a base of Sally Hansen Wine Not. Then, I used a nail art brush to brush on the white lines. I used IBD Whipped Cream for the white lines. Then I finished with 2 coats of IBD Fireworks. It was pretty thick when I was all finished with the base coat, 2 coats of color, the white lines, 2 coats of fireworks, then a top coat. But, it was super cute anyway. Usually I will wear a color for one week, then add some nail art after a week. I did that on this manicure, so technically it has 2 top coats. One before the white lines and one at the very top. It does get a bit thick when I add the nail art, but I really like this system. 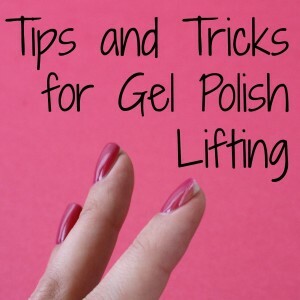 When I first considered gel polish, there were 2 things that really convinced me to get into it. One: It’s completely dry as soon as you wipe off the tacky layer. This was a huge selling point for me because I have 3 kids and I don’t have time to paint my nails AND wait for them to dry. Now, I just have to paint my nails and when I am done, they are dry. 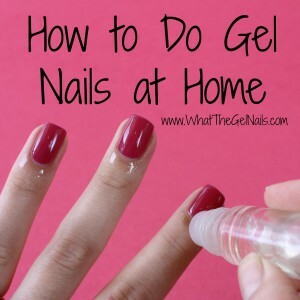 Two: The nail polish looks gorgeous and chip free for 2 weeks or more. This was another huge selling point because, again, I have 3 boys and I don’t necessarily have time to do my nails every single week. So, with my current system, I really only do my nails twice a month. When I add nail art, it goes much more quickly. I add the nail art mostly because I get bored of the same color after a week and I want something new on my nails. 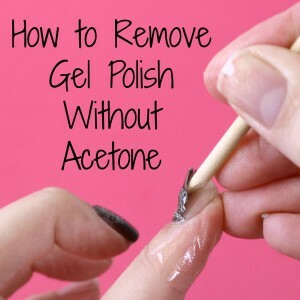 I personally think it’s a great system and it really takes advantage of the long lasting wear of gel polish.